During our sailing trip, on some days we will enjoy walking between the cultivated land for 2 hours per day (1 hour after breakfast and 1 before the tea time). Upon arrival to Edfu we start with a visit to Temple of Horus, the largest and most perfectly preserved of all the Nile temples. Horus, also known as Haroeris, was the falcon-headed solar war god. 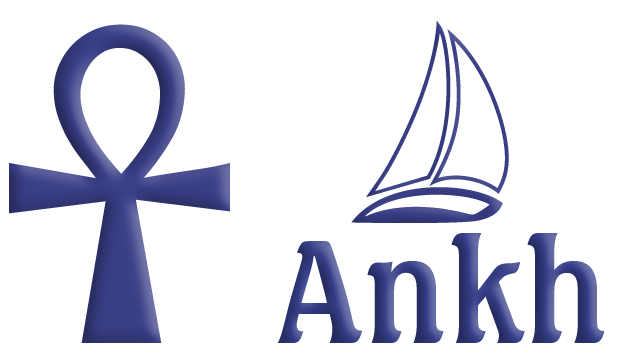 Later after our exploration of the temple we embark onboard of our dream sailing boat “Ankh 1”. Meet The Captain and the crew, enjoy your welcome drink, and then start sailing while having Lunch on board. Later we may have a chance to walk in the hills between the river Nile and the desert on the left bank, to the quarries of the Pharaonic era in the mountains of Jebel Silsila. 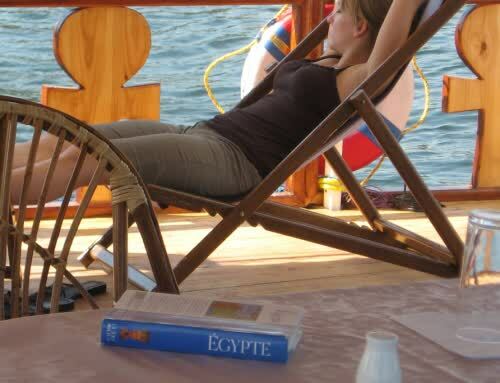 After breakfast onboard, our Sandal will sail to the foot of Jabel El Selsila. We discover the coronation hall of Horemheb, the last pharaoh who reigned in the eighteenth dynasty. In the evening we will have a wonderful barbecue around the temple, a once in a lifetime experience. 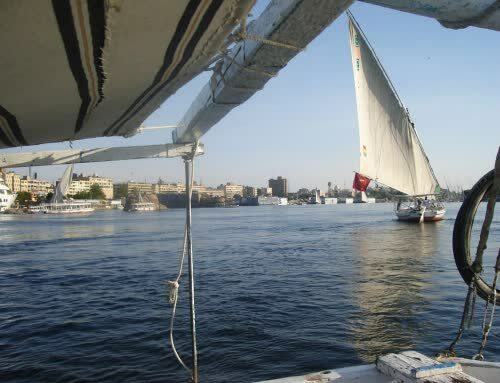 We resume our navigation on the Nile peacefully. Visit the temple of Kom Ombo; this unique sacred place, built to the two gods: Sobek, the crocodile god and Horus, the falcon. The temple stands at a bend in the Nile where in ancient times sacred crocodiles basked in the sun on the riverbank, we will see also the mummified crocodiles and the preserved Nilometer. If time permits we will visit the Camels market of Daraw, then returning through the gardens and palm trees to our sailing sandal. Breakfast will be served on the sandal sundeck. 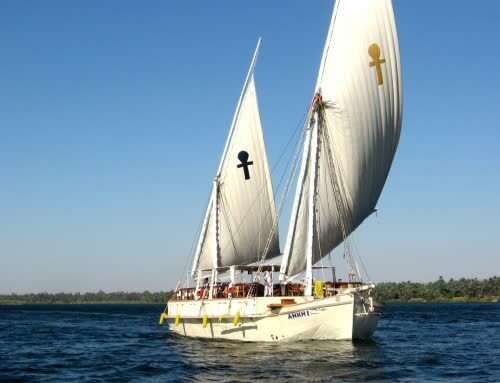 Later we will start to explore the Nubian villages. Encounters with the fellahs, have tea and breakfast and walk between the painted homes. We walk up to Koubanya. 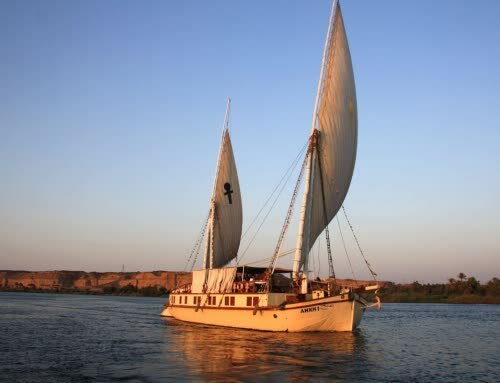 Later we continue sailing and arrive to Aswan. Disembarkation after breakfast, and tour to Aswan High Dam, Egypt’s contemporary example of building on a monumental scale. 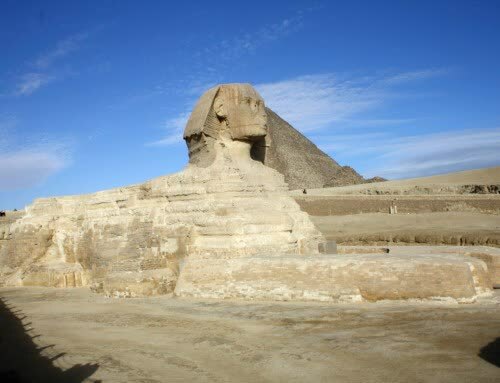 Next, proceed to the granite quarries which supplied the ancient Egyptians with most of the hard stone used in pyramids and temples. The quarries still hold the Unfinished Obelisk, possibly intended as a companion to the Lateran Obelisk, originally at Karnak but now in Rome. It would have weighed over 1,100 tons and would have been the world’s largest piece of stone ever handled. 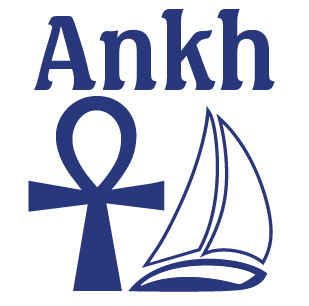 Continue by a short motor-boat ride to the Temple of Philae on the island of Agilka. The temple was dedicated to Isis, sister/wife of Osiris and patroness of the Ptolemaic rule.